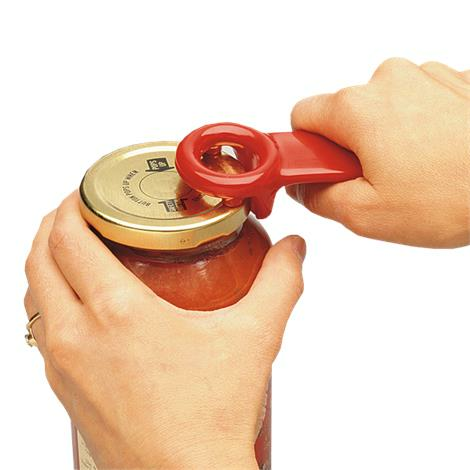 JarPop Jar Opener opens tight, vacuum-sealed jars with little effort. No twisting or turning is necessary, a gentle lift upwards pops the seal, releasing the vacuum pressure so the lid can be removed easily. Lids remain resealable after opening.